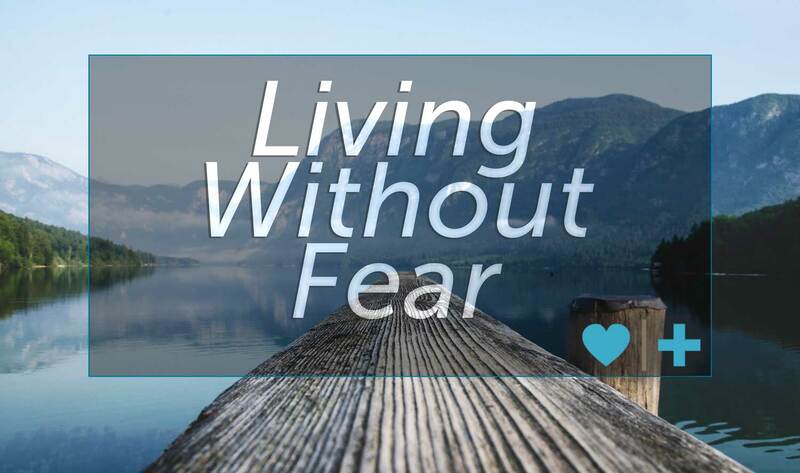 In recovery, how do you handle the fear that seems to permeate every area of your life? It’s an issue we all face, and while the technique I’m about to share may not work for all, in every situation, I do believe it can help others find hope, healing, and a way through some of the darkness. Decades ago the company I worked for visited an outdoor ropes course for both personal development and team building activities. One of the personal challenges on the “High Ropes” course was walking a 20 foot beam called the “Cat Walk.” The beam is suspended approximately 30 feet above ground. Before climbing up to the suspended beam you walk across a similar beam on the ground to prove you can do it. None of us had a problem walking across the beam lying on the ground, but when I climbed 30 feet into the air to walk across that Cat Walk, I froze. My mind was telling me I could do it since just moments before I had crossed the beam on the ground, but seeing 30 feet of airspace below my feet took my breath away and left me paralyzed. Recovering from infidelity is not unlike this experience. Day to day tasks that once were accomplished with ease can now seem terrifying in the aftermath of an affair. It often feels like you’re hanging above an abyss and one wrong step will be the end of you. You can tell yourself all day that you’ve done these activities before, that you can do this, but that doesn’t eliminate your fear. How do you come to a place where you can move forward without the paralysis of fear? As I stood frozen, unable to walk across the beam, the facilitator suggested I put on a blindfold. The absurdity of that thought boggled my mind, but he persisted and eventually I gave in. The blindfold worked like a charm. Covering my eyes where I could no longer see the 30 foot drop eliminated my fear and allowed me to walk across the beam. A few years ago Stephanie and I visited Israel. That trip had been on our bucket list for years. Something our guide said reminded me of my experience on the ropes course years ago. He said one way the Jews dealt with their fears was by “walking backwards;” that at times when scripture referred to looking behind, it was often a lesson on how to approach the future. They would intentionally keep their hearts and minds focused on the events in the past that revealed God’s hand of deliverance. This way, they “backed in” to the future. Thus, they had no reason to experience fear when they were focusing on all the good times in their past instead of fretting over the possible hard times in their future. What so often robs us of joy are the situations we create in our heads to worry about; situations that usually don’t even exist yet. We spend more time on “what-ifs” than we do on “remember-whens,” and that produces fear. As long as the Jews walked backwards into the future they had no fear because their eyes were on something that was solid. If, on the other hand, they took their eyes off their foundation, then life could feel something like walking over a 30 foot abyss. As I walked on the beach, I considered just ending it all. I had put my wife and three kids on a plane to go stay with one of her friends just 15 minutes before, and I had no idea when they were coming back. Susan had given me no hope she was returning anytime soon, and I was about as lost as I could be. All my friends had left me, Susan was on a plane with our kids, our family wasn’t aware of my moral failure, and I felt more alone and hopeless than ever. I drove right from the LAX Airport to the beach, and simply got on my knees and fell apart right at the shoreline. I couldn’t see any way out, and I couldn’t see how any of this would one day make sense, or feel any better than it did right there. I simply prayed and asked God to help me not end my life, and somehow be a father if I couldn’t be a husband at the same time. I’m convinced, the only reason I didn’t take my life was my three kids. I’ll never forget the hopelessness and agony of the entire day. It’s been several years, and I have to tell you Rick, there have been thousands of “remember when’s,” since that lonely day on the beach. I had zero idea that there was hope available and as one author writes, “God was doing for us what we couldn’t do for ourselves.” I can’t underscore enough how dark it was for both of us, but when we have a tough time now dealing with regular life, marriage and parenting issues, we simply look back upon our litany of “remember when’s” and it’s like new faith and courage begin to enter the scene. We had to remember to allow the small victories to become “remember when’s.” Remember when the triggers finally started to dissipate? Remember when we made it through an entire conversation without fighting? Remember when I was able to display empathy and safety, and know that Susan received it, for the first time? If the right process to recovery is utilized, you can in fact make it through to the other side, while also encountering events which seem so miniscule but will one day be the bridge between finding hope for your life and story. As I write this I imagine some of you would tell me your fear is legitimate and I don’t disagree one bit. I also know that many unfaithful spouses choose to utilize a dysfunctional coping mechanism called ‘rewriting history’ where they choose to interpret events from the past in a way that suits one's own particular purposes. That purpose is typically to justify their affair(s) However, all hope is not lost. If your spouse is open to getting expert help, we can help your spouse come up for air and find clarity and truth. As you read in the story above, we absolutely believe there are ways to walk through this crisis, difficult as it may be, and manage the fear. So many of us are on the other side, and we’ve found healing and hope. Though it wasn’t easy by any means, it was in fact, possible. As I go through the day I try to keep my focus on times in my life where I believe God has delivered me and where things have worked out miraculously well. By backing through my day with my eyes focused on solid anchors in my past, my level of fear and anxiety has decreased. I’ve also made a decision as Samuel has alluded to in his many video blogs that recovery will require bravery, probably unlike any other time in your life, thus far. The pursuit of restoration is absolutely terrifying at times and if you know this upfront, you can make a decision, in advance, to be brave. I certainly don’t know if this same technique will work for you, but I suspect it could. If you want to give it a try, work hard to find moments in the past where things have worked out well or moments where God has come through for you and keep your attention focused on those things as you move forward through the day. I know that right now, the ashes of your marriage may seem not only blinding, but incapacitating. But those stories and wonderful memories are there if you look hard enough. If it’s impossible to find “remember when’s” from your marriage right now, look beyond that. There are other moments, other areas in your life where you were strong enough, brave enough, and you made it through, and you can use that for an anchor as well. I hope you will come back to this post and leave comments about how this has worked for you. Below is a Survivors' Vlog from Lynn as she shares her experience with the "Remember-When's" in her journey after betrayal. At Affair Recovery we certainly recognize these are uncertain times for many of you. One of our goals is to provide resources to help you along your journey. Another technique for dealing with fear is community. Having others who have walked this path is comforting, especially because infidelity can be so isolating. If you have no one to walk with I hope you will join one of our communities. EMS Online, a class for couples, is a wonderful option to learn to retrain your eyes and avoid focusing solely on the negative aspects of recovery that will undoubtedly produce fear. Learn what it means to focus on hope. With a membership to our Recovery Library, you’ll have access to hundreds of articles and video clips, Rick’s weekly Expert Q & A and a litany of other supporting resources. I hope you’ll reach out for community. I think that concept is based on the faith that the Jewish people had in their God and beliefs. When your beliefs are shattered, and been betrayed by the one you love...what do you look back on as an anchor? Many betrayers...some rightfully so...believe that much of what their past was a falsehood (to justify it all to themselves and others). The times I thought were good, my wife was in a bad place, having a "secret best friend", plotting and flirting her way toward an affair and eventually sleeping with her AP in our house and sneaking off to his nasty slum neighborhood. I certainly believe that, at least for a while, my wife was living a lie and a completely fake life. We are 19 months post D-day. The discovery of my husband's affair left me tumbling in an emotional wake of utter devastation. Instinctively, I wanted to push him far away, but sources such as Hope Now encouraged me to give it 90 days before making such a decision. I am so thankful for that encouragement! I never would have believed that we could EVER heal after so much hurt, but we are definitely on the path of recovery. The triggers are countless... Dates, names, songs, places, images, movies, words spoken, and sometimes they come out of nowhere... But they are getting fewer and further between. Despite my husband's renewed commitment to our marriage, fear raises it's ugly head now and then, and causes my mind to scream out how foolish I am to let my guard down, but I the concept of Looking Back and intelligently opting for selective Blinders helps me sort through some of that. I think it is fair to say that betrayed spouse suffers a unique brand of post traumatic stress, and rationalizing through emotions can prove extremely challenging. Your article today was something I really needed to hear. Thank you again for all the work you do. Thanks for your comment. We are 8 months post d-day. Everything you said rings true for me. The triggers, the fear, everything. It's comforting to hear others experience the same. Blessings to you and your marriage. I do, in fact, use this technique, but thanks for the reminder. I hope this technique works for others, but I have to say, because of my husband's continuing infidelity, even using what he learned at EMS to increase my trust, and then betray it again, that I feel more like I have walked out on the beam blindfolded, only to find that he is already on the beam, just waiting to push me off, time after time. My fear is that when I do gather the strength to climb out of the abyss and try to venture out onto the beam, I won't be able to walk out there because in spite of my courage, I am not in control of my journey. My husband can at any time throw me off the beam. All I know is that God knows exactly what is happening, and from Him I draw the ability to climb out of the abyss time after time, because he will never leave nor forsake me. I feel like a boxer that continually goes down in the fight. Each time I stand up I am weaker. I just need to focus on the fact that I can do all things through Him that strengthens me. In my case, eliminating my fear cannot be based on the "remember when"; it cannot be placed on our past because all of a sudden the past is not what I thought it was. Eliminating the fear can only be placed on focusing on Christ, knowing that he experienced betrayal, and knowing he understands and loves me. The past is not an anchor. It was an IED. My hubby and I completed EMS Online back in December, it was one of the hardest things that we ever had to accomplish. I had a relapse. Yes, I was the one who cheated and i relapsed over the holidays HARD and went to file for divorce after our classes were done after the first of the year this year. My affair was very public with coworkers knowing and my family knowing (his and mine). VERY MESSY... Anyways, God had other plans and through me going through a major emergency and hospitalization and several surgeries it became apparent that my husband and I still loved one another and my AP did NOT... i was so ASHAMED and ANGRY, But over the course of a few months my husband's ministering grace to me and forgiveness to me in spite of my awful treatment of him before won me back to the Lord and ultimately to our family. I was finally able to see what I was doing when he was quiet and kind and helping me unselfishly as opposed to when he was yelling and screaming and chasing me... I couldn't see HIM until I was in a place where I needed him. Now, I know that I need him for the times when I am short on patience, because he is much more long suffering than I. I know when I feel panicked, I can turn to him for his strength. It has almost been a year since our big reveal or D-Day... I wouldn't wish this on anyone, but I love him more and respect him more. He has been my hero in more ways than I can begin to say... we have so much further to go, but I am incredibly grateful for my husband. I had no hope, no plan, before, but now I have him and God and my children. Together we are developing a plan on how for me to go back to work and be successful and safe. We are trying to build more trust. It's good to hear that it's OK and actually important to remember the dark days sometimes. There's so much emphasis at AR for the betrayed person not to dwell on intrusive, repetitive thoughts. But our spouses DID betray us and cause horrible dark holes in our lives. I had forgotten until seeing this video that I too flashed on the idea of walking into the water and not coming back out. Not an intention, but like watching a scene from a movie about Virginia Wolfe. Anyway, I find it healing to acknowledge for a moment how dark things got. It does make the good moments even better. Yesterday was 1 year from Dday and we focused on creating loving moments to rewrite the history of the day. But something was nagging at me -- we neglected to acknowledge at all just how dark my world was 1 year ago. I've labeled it now and moved on! Thank you, Lynn. I have gone through infedility for 32 years on and off in our marriage.The last time was an affair that lasted for 2 years which I thought finished after the 1st 2 months only to find out again and the 2nd time and 3rd time. Only now I have taken my husband back as he said he had a wake up call and has not contacted her even though she tried to continue to contact him.Only now we talk openly about his affair and how he needs to make me feel safe again.I still cannot forget daily what he had done and how they both would set me up and lie continally to me. I am in the middle of second discovery and renewed ambivalence on my husband's part right now and managing the ambivalence and maintaining the "status quo" is getting me to that place of having had "enough". ...I lost my job suddenly and found myself as the unemployed breadwinner of my family of five over night. I was terrified for the future, but after six months of searching I found a job I'm better suited for and am happier at. ...I was trapped in a codependent relationship with my husband and when the first discovery of the affair occurred I had no idea how to cope and no one to rely on for emotional and spiritual support. Because of where he was at in terms of his relationship with the AP and his continued ambivalence, I was forced to find support elsewhere and that's how I rediscovered God and uncovered a better relationship with Him than I ever could have imagined. God is who I turn to for emotional and spiritual support now. ...I used to freak out and resort to very immature responses to things my husband would tell me that I didn't want to hear after the first discovery. I would resort to passive-aggressive comments or complete melt-downs. Now I try to participate in conversations as an active listener, I stay calm and mature as best I can and the results are much more favourable. I'll keep using this strategy as I move forward in MY recovery.